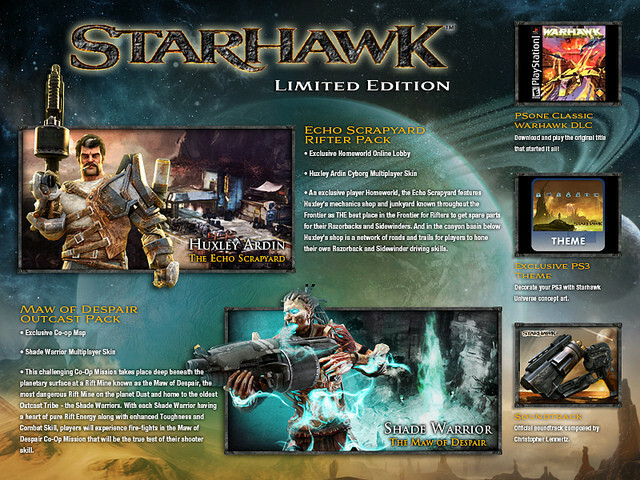 Sony has announced the limited edition for Starhawk, and as you can see in the picture below, it looks quite unremarkable. The interesting part here is that, you get Warhawk PS1! This version comes with over $20 worth of bonus content, including two DLC packs that contain new maps and multiplayer skins, plus sweet extras like the soundtrack and a PSN download of original Warhawk from PSone. This challenging co-op mission takes place deep beneath the planet’s surface in a particularly dangerous Rift mine. The Maw of Despair is home to the oldest Outcast tribe, the Shade Warriors. The heart of each Shade Warrior blazes with pure Rift energy, granting them extra toughness and combat ability. The firefights you’ll encounter in the Maw of Despair co-op mission will push your shooting skills to the edge! An exclusive player Homeworld, the Echo Scrapyard features Huxley’s mechanics shop and junkyard — known throughout the Frontier as the best place in the Frontier for Rifters to get spare parts for their Razorbacks and Sidewinders. And in the canyon basin below, Huxley’s shop is a network of roads and trails for players to hone their own Razorback 4×4 and Sidewinder Jetbike driving skills. Concept Art PS3 Theme: Decorate your PS3 with the amazing concept art that help bring the Starhawk Universe to life. 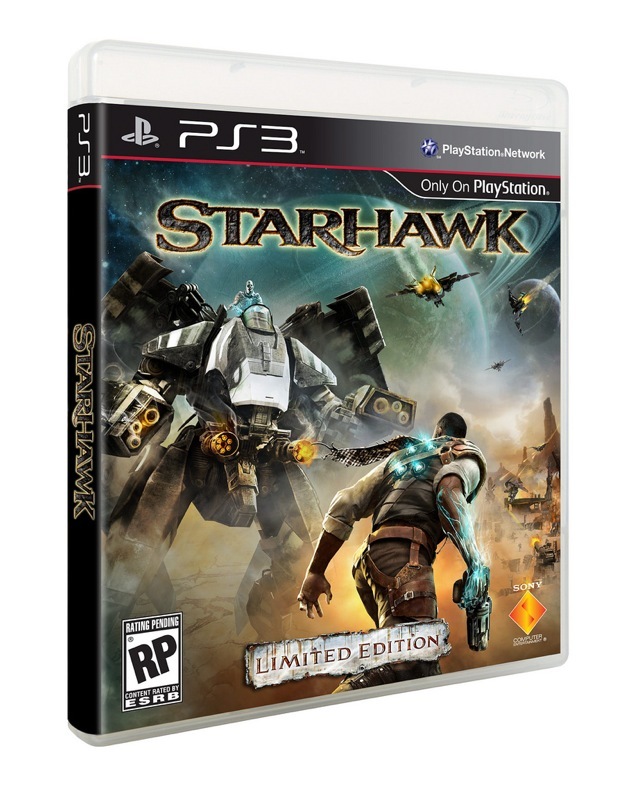 Only available through the Starhawk Limited Edition. Copy of the Original Warhawk (PSone): Download and play the title that started it all! Official Starhawk Soundtrack: Christopher Lennertz’s sweeping original score available as a PSN download.